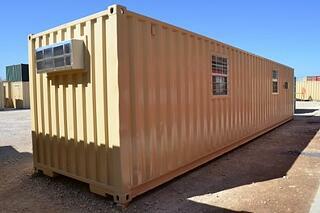 All around the world, modified shipping containers are enjoying a wave of positive press. If you’re curious about how these containers are being used or wondering if your unique business challenge could be solved by using a conex container, you’re in the right place. And while the applications for shipping containers seem endless, most fall into four top usage categories: storage, workspace, living space and industrial applications. An economical workhorse, the ISO container provides a flexible, durable storage solution suitable for almost any environment. Engineered to safely transport items overseas, shipping containers are built to last and endure harsh weather conditions. 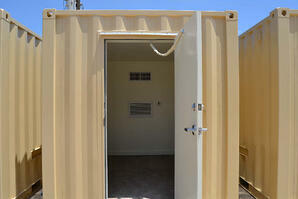 At remote locations – professional, industrial or leisure. Close to a home, school or business. 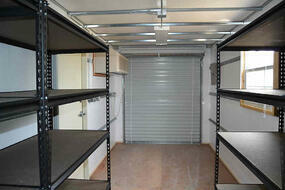 Secure storage area in a warehouse. For recreational and sporting activities. On an industrial or construction job site. To support agriculture and livestock needs. During an emergency or disaster relief. Long lasting and turnkey, repurposed shipping containers deliver a flexible, mobile office solution you can rely on for years. 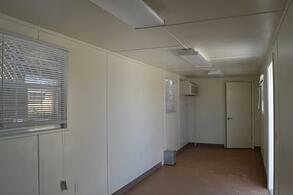 Climate controlled, modular offices are constructed of sturdy, galvanized steel and include office grade finishes. Mobile workspaces fulfill an endless number of functions today. Traditional or supplemental office space. Add instant office space inside a warehouse. Dual office setup with half bath. Combination office and climate-controlled storage. Employee locker room, break room or restroom. Emergency or disaster relief housing. Electrical or automatic control rooms. Generators, battery storage and monitoring, and more. While the uses are many – in fact there are 83 suggested uses here – the fact that shipping containers are the best mobile, secure and durable solution for most applications means the shipping container structure is here to stay. 877-704-0177 to speak with a Falcon representative.